Walt Whitman's ego seemed impervious to criticism, and his self-promotion — writing anonymous reviews of his own book — suggests total self-assurance. There was, however, one man whose praise Whitman desired and cherished more than any other. He would refer to this man as his "master," Ralph Waldo Emerson. Ralph Waldo Emerson (1803-1882) was renowned in his day as one of the pre-eminent thinkers, writers and lecturers in America. History has only strengthened that claim. 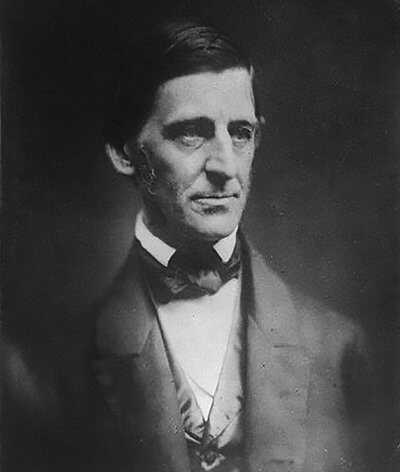 Emerson was born in Boston, and trained at Harvard College to be a Unitarian minister. He had a crisis of faith after the untimely death of his first wife. Traveling to England, he met the writers Thomas Carlyle, Samuel Coleridge, and William Wordsworth. Emerson read widely, including the works of Neo-Platonists and books on Confucianism. 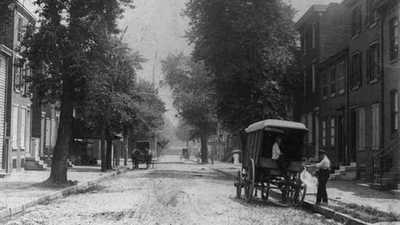 Upon resettling in Concord, Massachusetts, he wove these diverse threads into the philosophical tradition known as American Transcendentalism. Transcendentalism espoused individual connections to spirituality, often through harmonious relationships with nature. The movement's first major publication was the book Nature (1836) in which Emerson reworked ideas from various lectures. Some of Emerson's public thoughts were considered shocking, like his statement that the United States should develop an indigenous culture independent of Europe, or that spirituality could be found in one's own self, unmediated by organized religion. Emerson's companions in the movement included Jones Very, the Peabody sisters, Margaret Fuller, Bronson Alcott (Louisa May Alcott's father) and Nathaniel Hawthorne. He was generous with his advice to aspiring writers like Whitman and allowed Henry David Thoreau to build a cabin on his land at Walden Pond. Henry Wadsworth Longfellow, James Russell Lowell and Dr. Oliver Wendell Holmes were also publishing new works from Boston. Given the critical mass of scholars, colleges and publishing houses, Boston staked a claim as the intellectual and literary center of the United States. 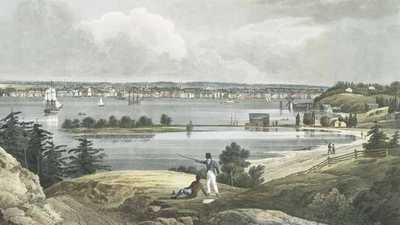 Whitman, while indebted to the Boston writers, would seek to shift that center to New York. The Boston literary crowd overlapped with the advocacy of progressive political ideas, especially abolition and women's suffrage, as well as the plight of Native Americans. These were hardly underground movements, but the literary establishment of Boston helped clarify the moral imperatives involved and did its part to bring these issues into the national consciousness. Given Emerson's position as one of the most original and respected thinkers and writers in America, naturally Whitman sought out his imprimatur for Leaves of Grass. And he got it. 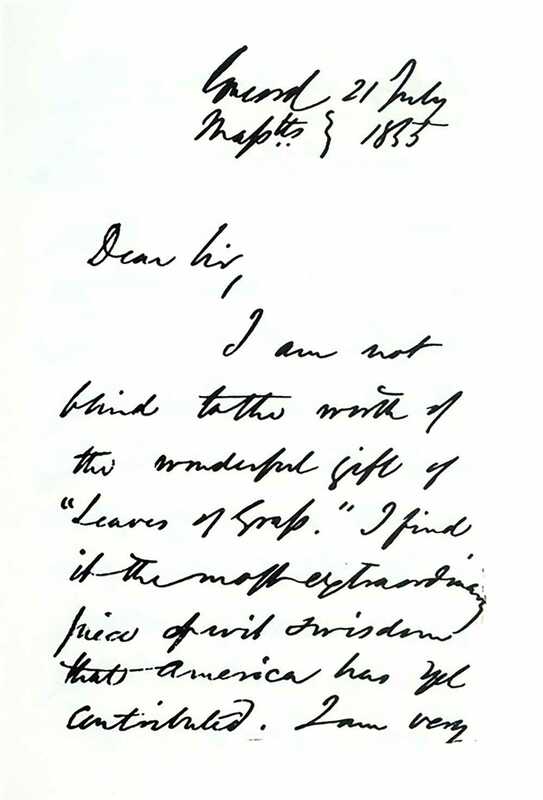 After receiving a copy of the book from the unknown Whitman, Emerson wrote back a letter of encouragement that concluded: "I greet you at the beginning of a great career. R W Emerson." The second edition of Leaves of Grass included that sentence on the spine of the book and reprinted the full letter within. Whitman also had the letter printed up in a newspaper, clipped out copies, and pasted them into a number of copies of the first edition of Leaves. The two men became friendly and exchanged correspondence. In Boston for the first time in 1860 to oversee the typesetting for the third edition of Leaves of Grass, Whitman called on Emerson and discussed the book. Emerson advised the younger man to cut out the more overtly sexual poems, but, even after hearing the literary lion's counsel, Whitman was adamant about keeping them. In later years, Whitman had no regrets about the decision: "The dirtiest book in all the world is the expurgated book," he would say. 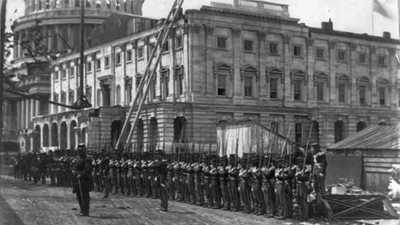 Walt Whitman offers insights into social studies topics including the Civil War and the impact of war on soldiers and their families. The poet drew inspiration from New York City. His books celebrated the urban bustle he loved.